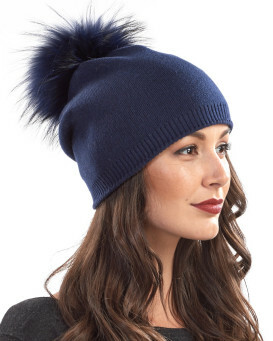 Accentuate your style with our The Lyric Navy Slouchy Beanie with Finn Raccoon Pom Pom for women. 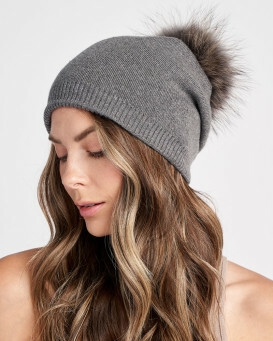 With a removable pom pom accent of lush Finn raccoon fur, this natural beanie is composed with wool, nylon, and viscose fabric. 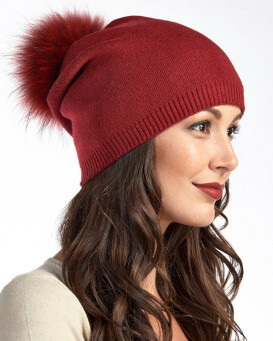 The beanie is tacked at the back for a slouchy and flattering fit. 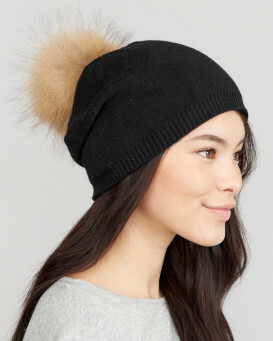 Lightweight and one size fits all, this fur beanie is all that you need for the fall or winter months. 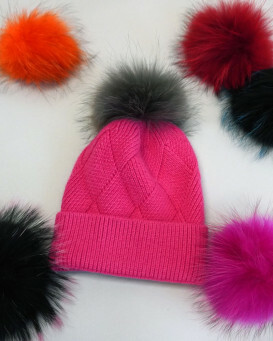 Simply grab this cap to go with your outfit and take a stroll in the park knowing you're protected from the elements. 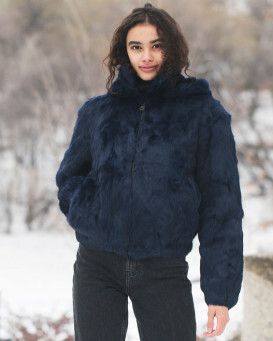 Have a happy fall and winter!